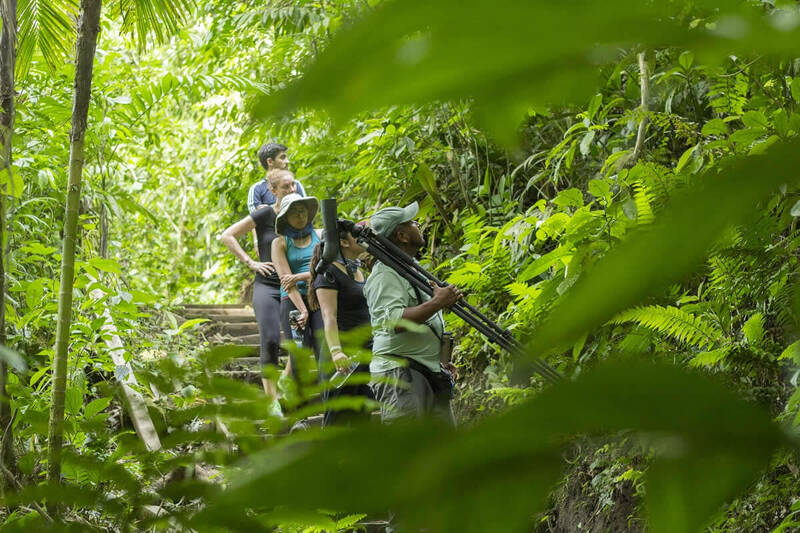 Your day will begin with a guided tour of the Arenal Hanging Bridges, where you will enjoy extraordinary views of the Arenal Volcano. 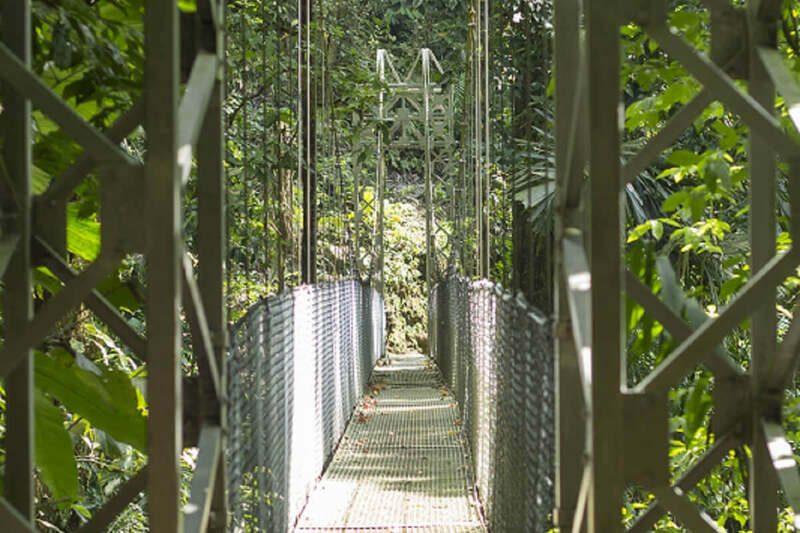 The tour will take you through the rainforest and across 15 suspension bridges, which measure up to 100 meters long and 70 meters high. Tropical fruit snack is offered at the end of this adventure. 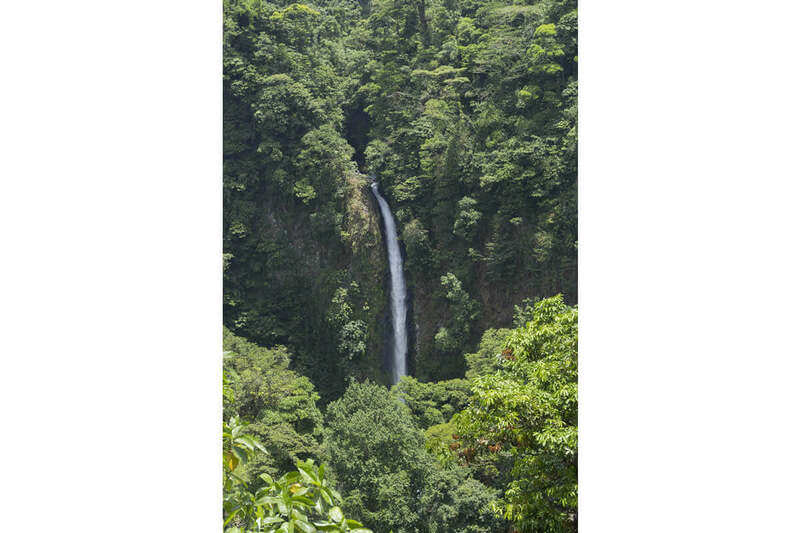 Around 11:00 we will be ready to continue with our next adventure; we will walk down 498 steps to enjoy and get amazed with the beauty of La Fortuna Waterfall, a perfect place to take pictures, swim in the pristine water, and look at the wonderful scene. 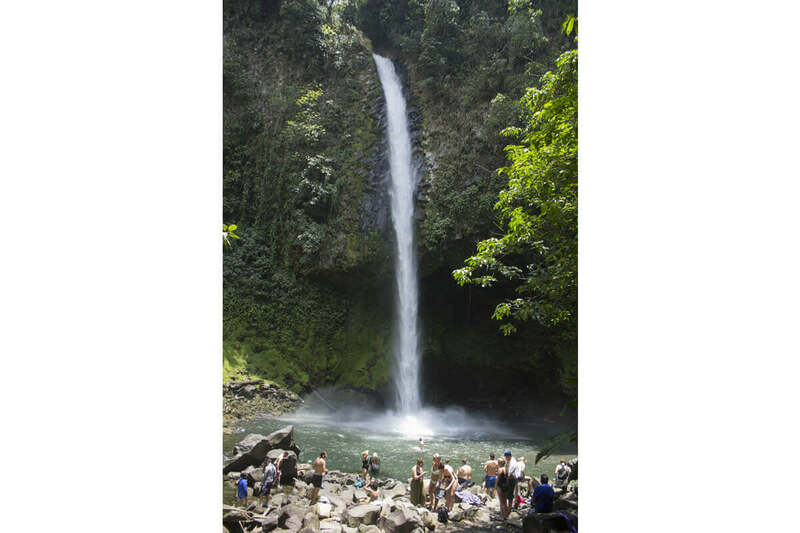 La Fortuna Waterfall is followed by a delicious typical lunch all fresh and homemade, there you can relax before lunch and have a good cup of Costa Rican Coffee. 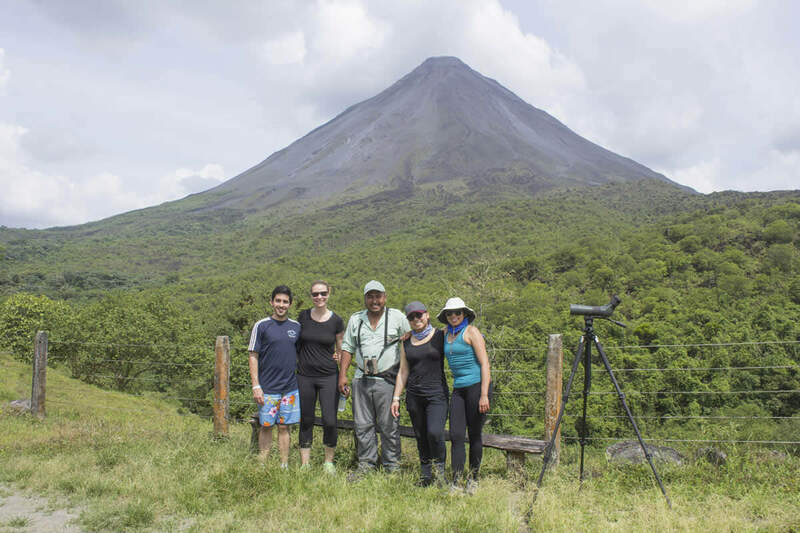 Third activity is the Arenal Volcano National Park. 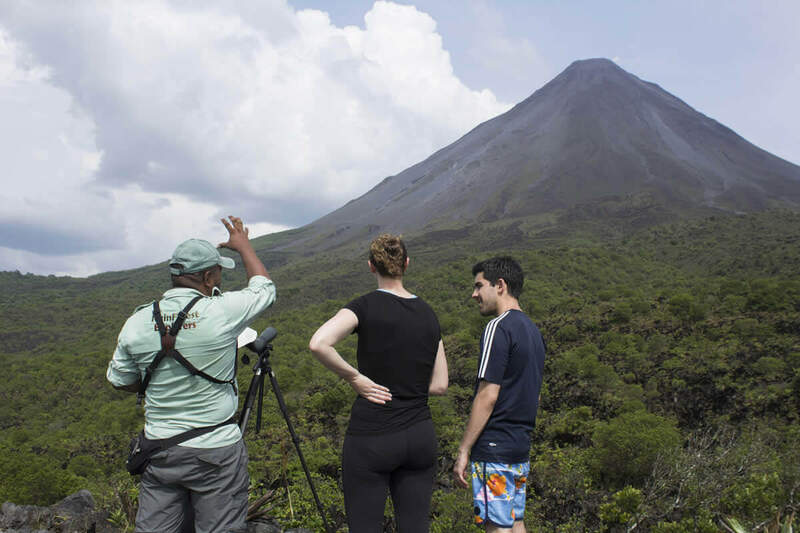 In contrast, Arenal is Costa Rica's most active volcano. 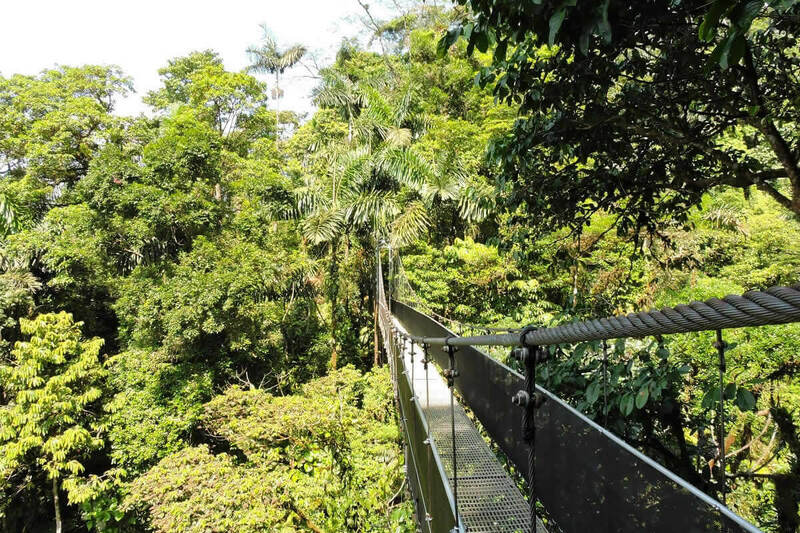 Within the national park, short trails pass through both secondary forest and lava fields from previous eruptions. Here you can see birds and some other wildlife during the walk. 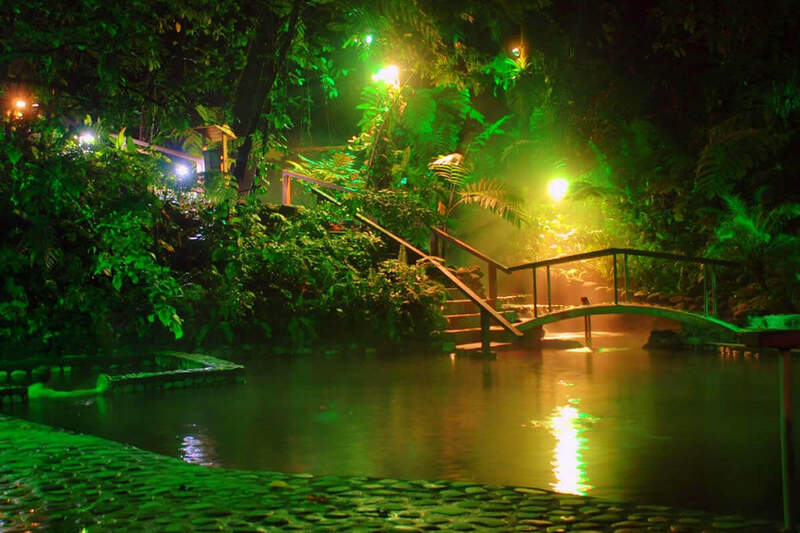 Last visit of our day is Eco Termales hot springs this one has four pools that vary in temperature. 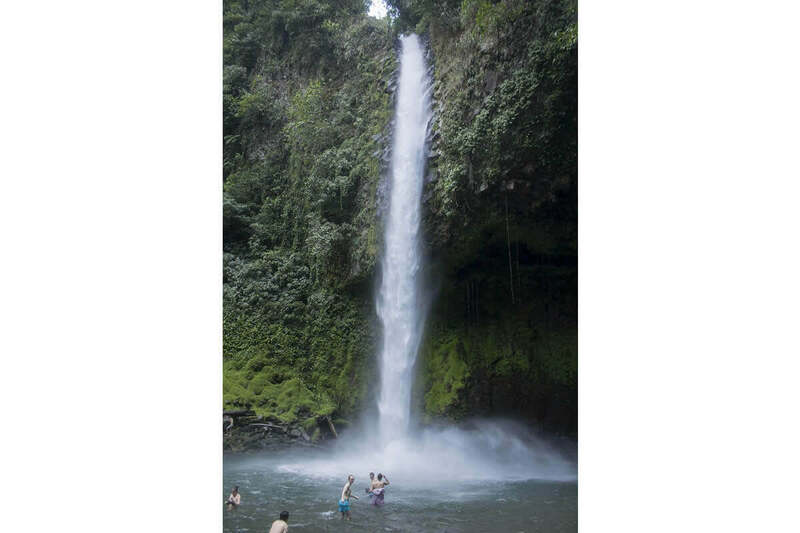 One of the pools has a refreshing, cascading waterfall that visitors are invited to stand beneath. 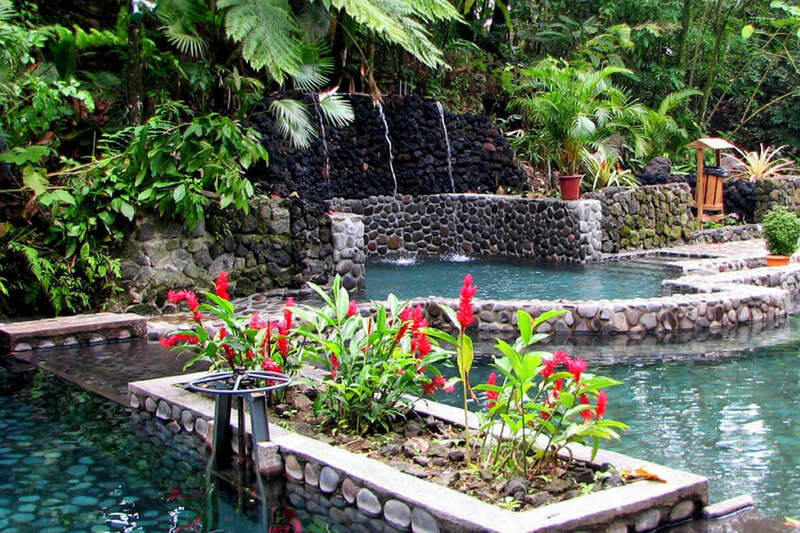 Paths laid with volcanic silt run throughout the complex, connecting the pools, changing rooms, and restaurant. 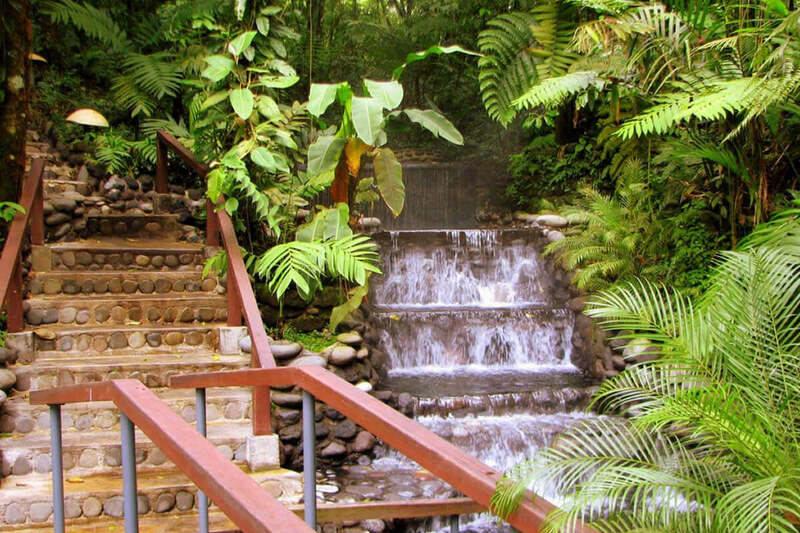 Eco Termales is a wonderfully authentic environment that offers both privacy and tranquility within the Costa Rican rainforest.